TOKYO (Mainichi Japan, July 28, 2017 Kyodo) -- Japanese high school baseball sensation Kotaro Kiyomiya hit his 107th home run Friday, tying the all-time record for senior high school players as his Waseda Jitsugyo defeated Hachioji 4-1 in a qualifier for next month's national championship. 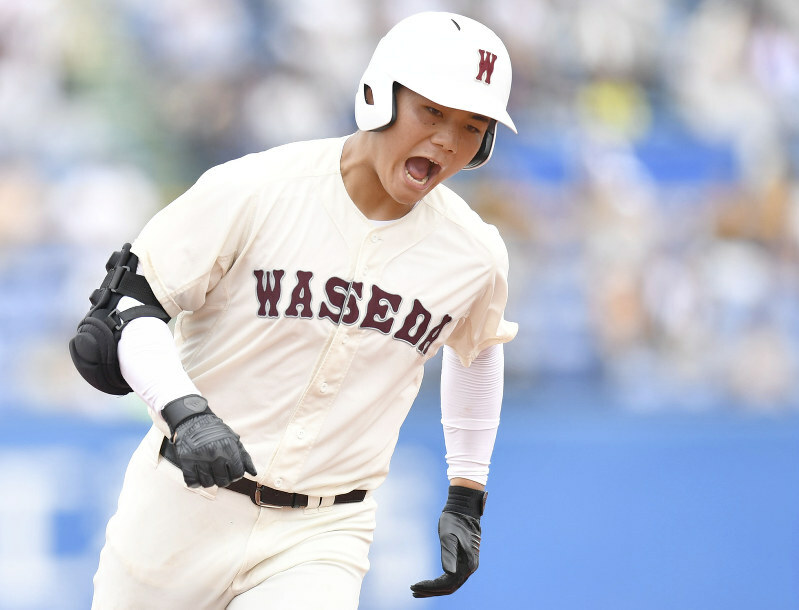 The 18-year-old senior led off the seventh inning with a solo homer to the left-center stands to score Waseda's third run in a semifinal game of the contest to decide the western Tokyo representative at the national meet. Kiyomiya, who is captain of his team, shares the all-time mark with Hiroki Yamamoto who played for Shinko Gakuen through the summer of 2012. Spectators of all ages applauded and cheered as Kiyomiya crossed the plate at Jingu Stadium where about 17,000 turned out to watch the morning game. Tsuyoshi Abe and his 11-year-old son Hikaru arrived at the stadium at 7 a.m., three hours before the game began. "I wasn't sure if there will be seats because Kiyomiya is a huge star," Abe said. "I wanted to show my son the 107th homer because he is also playing baseball." The record for home runs in high school is an unofficial figure that the media or players themselves tally. It includes homers hit during practice games as well, without having specific regulations as to the number of games or the stadium. Waseda Jitsugyo, which missed out on a place in the national tournament last year with a quarterfinal loss to Hachioji, will play Tokaidai Sugao in Sunday's western Tokyo final. "It's good if I can mark a new record, but it's no use if we can't win the game," Kiyomiya has said. "I hope I can bat as usual."